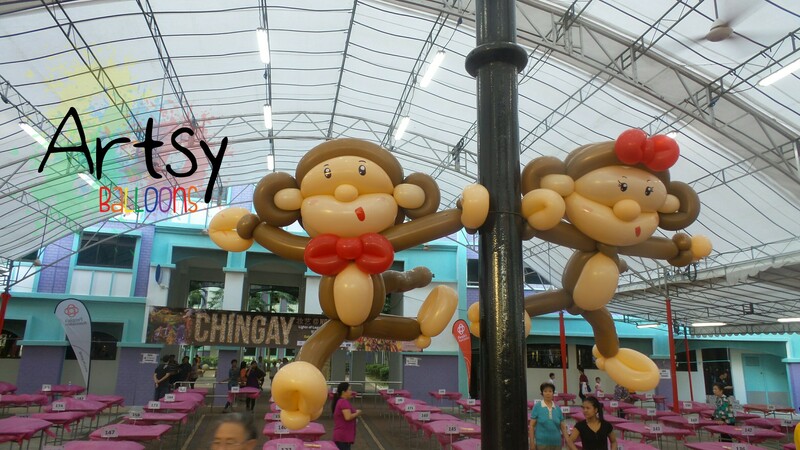 Huge balloon monkey for Chingay Singapore! So later you’re able to imagine the total height of the monkey! So I’ve completed the entire monkey sculpture, but look at the crowds! I think there’s like 1000+ people at the venue. Wow. Tadah! Here’s my monkey, it’s pretty impressive for it’s height. Is it a boy or a girl monkey? I’m not sure as well, didn’t really decide a gender to it when I was creating it. haha! So here’s in it “scary monkey form” Ready for halloween as well! 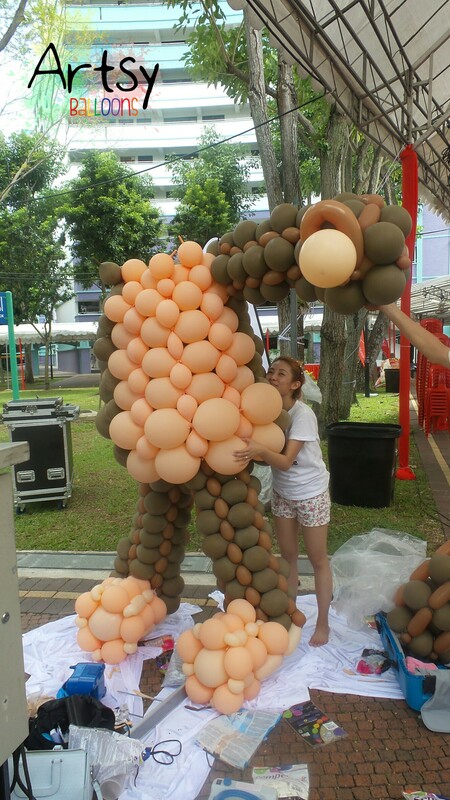 Here’s halfway of the huge balloon monkey balloon sculpture! 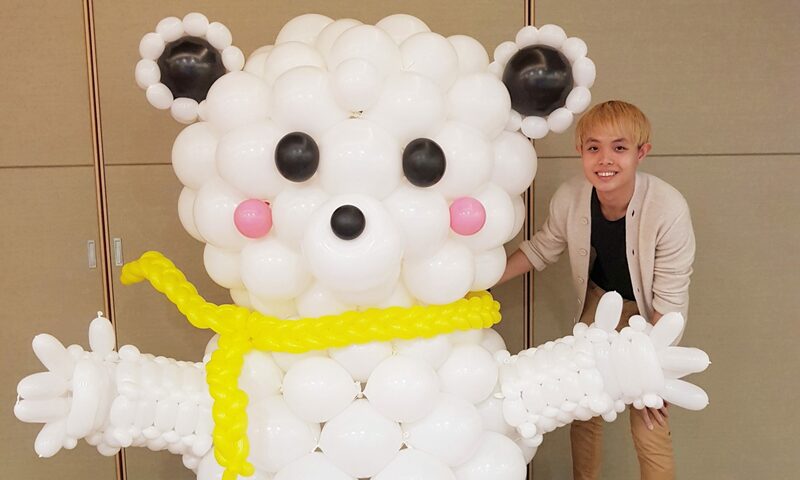 Boy this got to be one of the most intense balloon decorations I’ve did in a long time! I mean, look at the size of it! 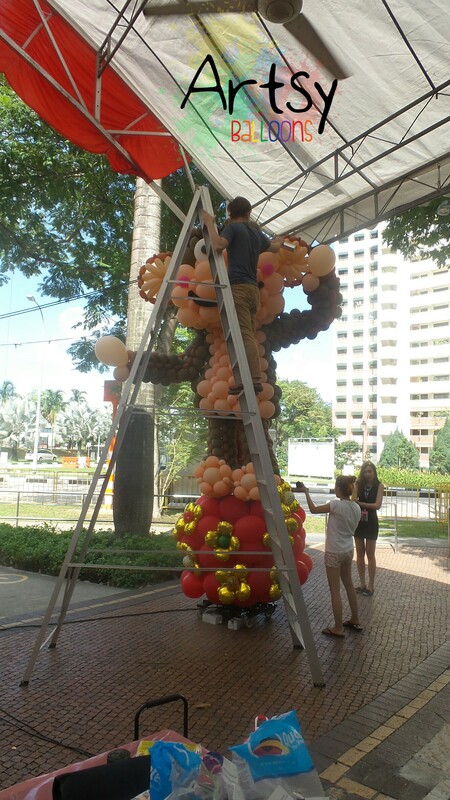 I still have to climb a 4m tall ladder to fix and secure the entire monkey. haha! 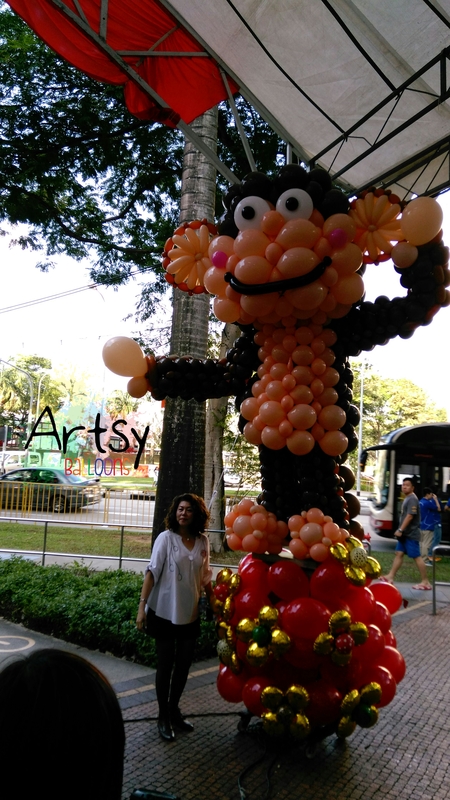 But nonetheless, it was extreme fun and satisfying, it’s been a great balloon decoration challenge and I’m happy that all the Sembawang residence loved it! Including the PA organisers! Thanks for trusting this project to me! 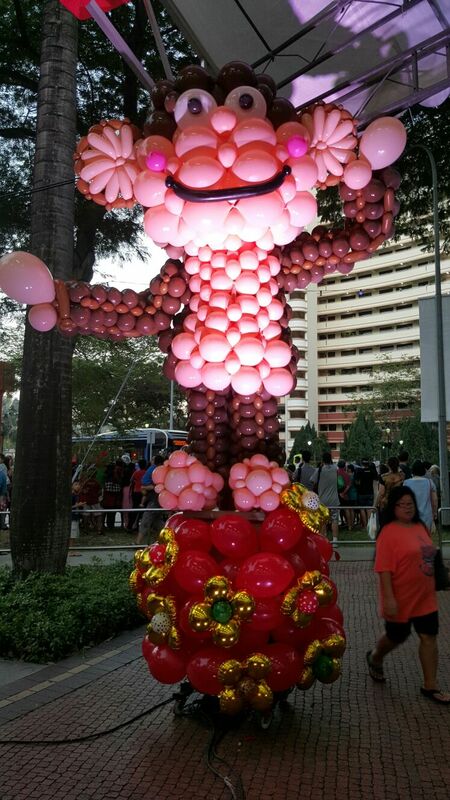 Monkey balloon sculpture says bye! 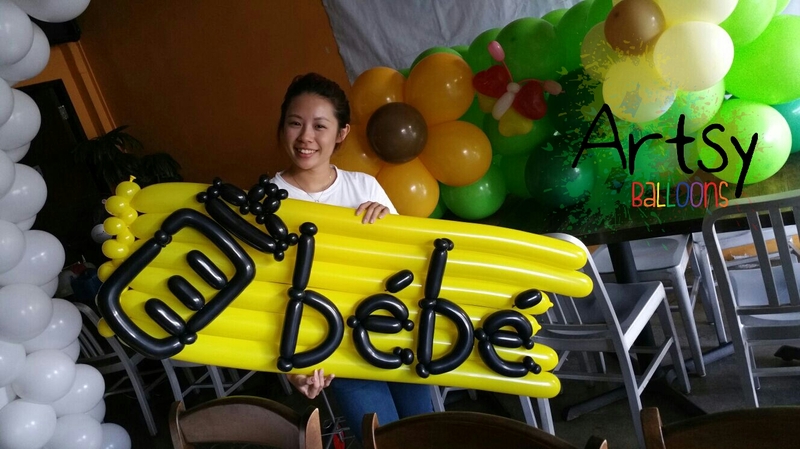 Balloon decorations for bebe magazine! Hello strangers! Welcome to my blog once again. 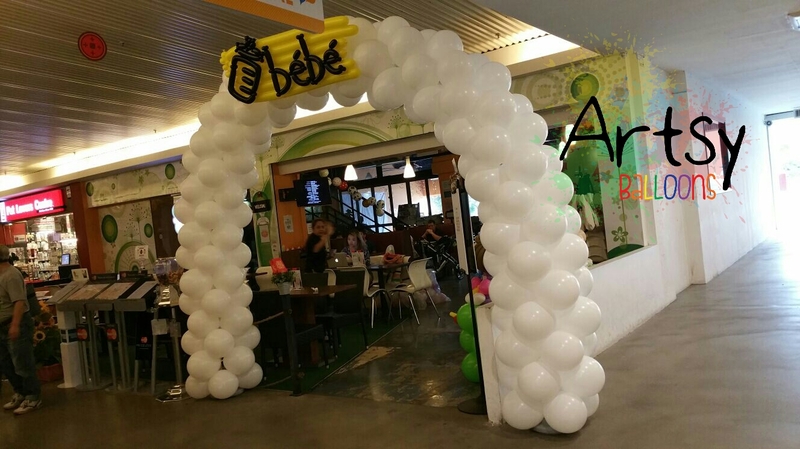 Today I want to talk about a decoration that I did for bebe! 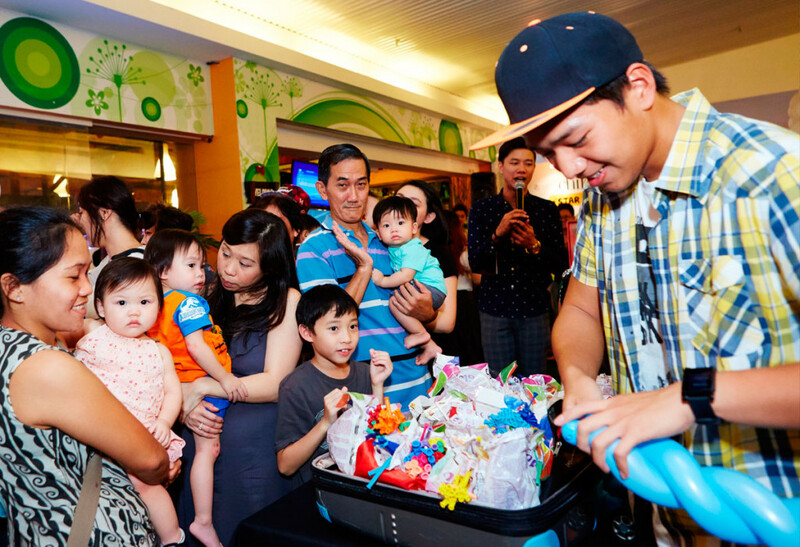 So they are a local magazine company that they were having a cute baby event! 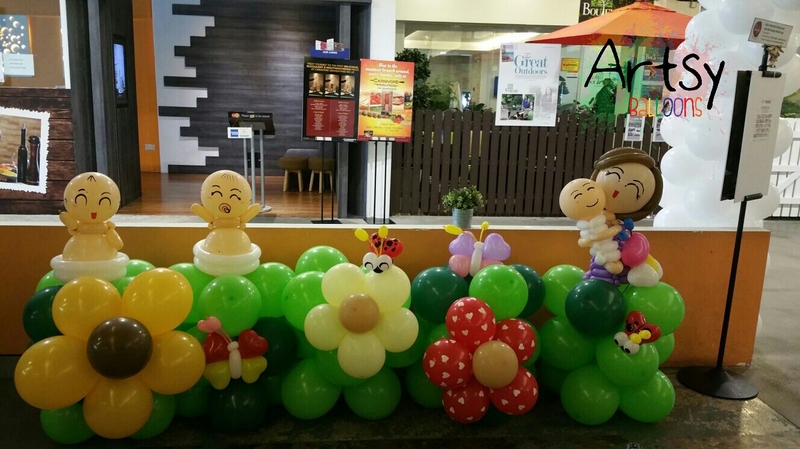 So I was there to set up some balloon decorations! So we did the logo out of balloons! Thankfully it’s pretty easy to do. haha! 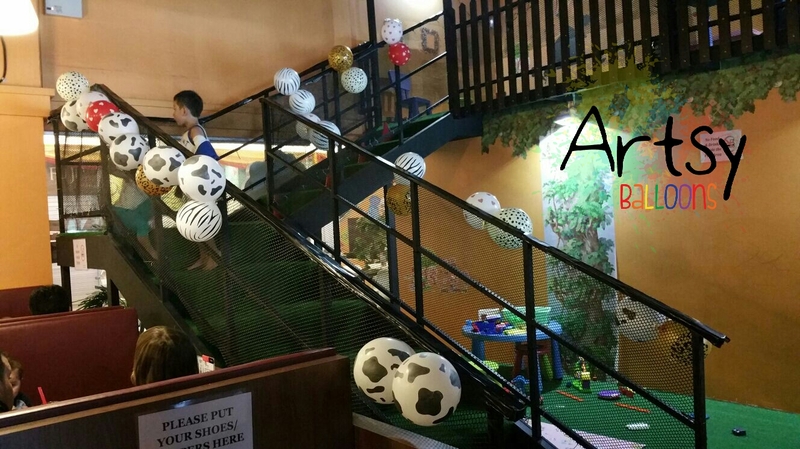 So there’s also animal themed balloon tied all over the restaurant. 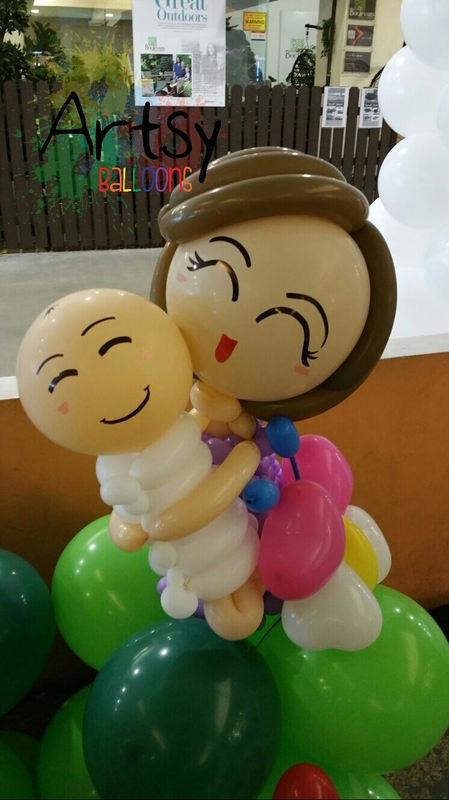 This is a customised baby themed low balloon backdrop. 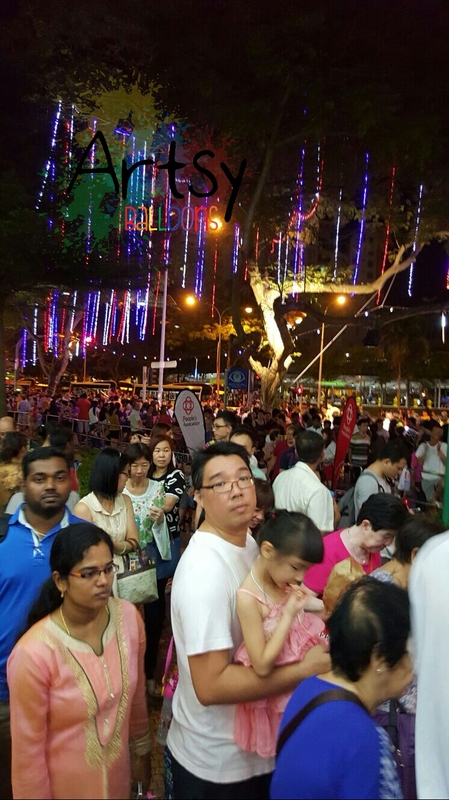 That’s mean for parents and their child to stand behind it and take photo with it. 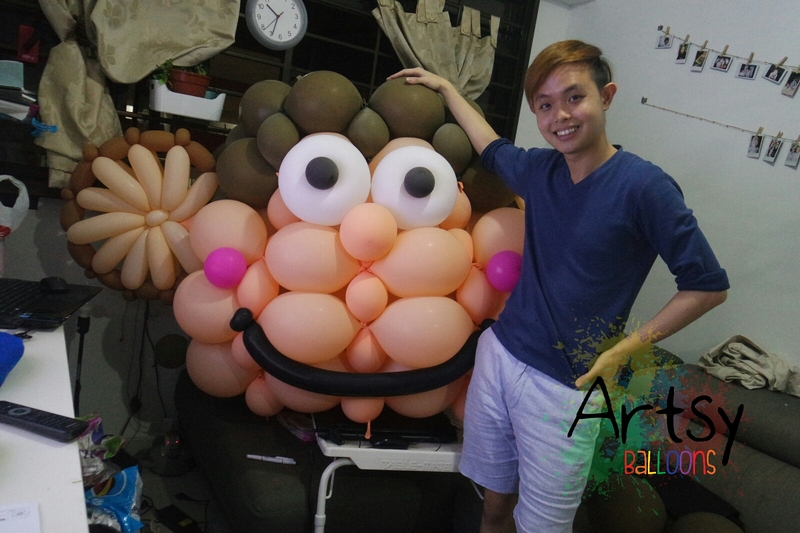 Close up with my balloon sculptures! 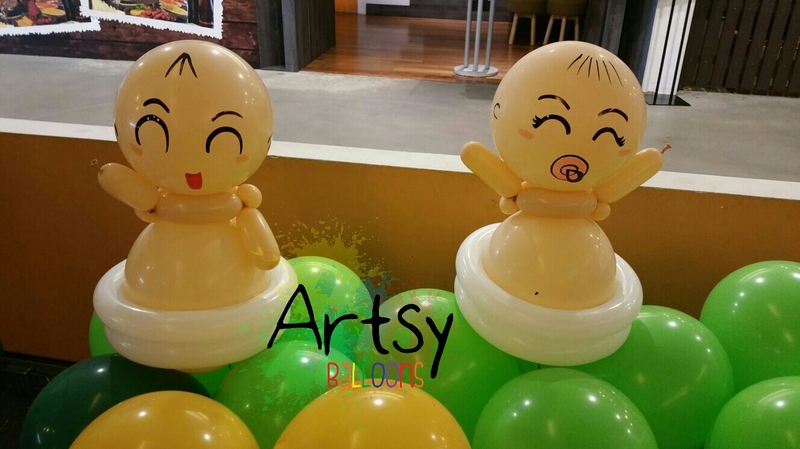 Cute balloon babies! Maybe I should give them clothes new time. haha! And this is what you’ll see when you reach the venue. The white arch and a logo at the top of the arch, there’s no way you can miss this event venue. 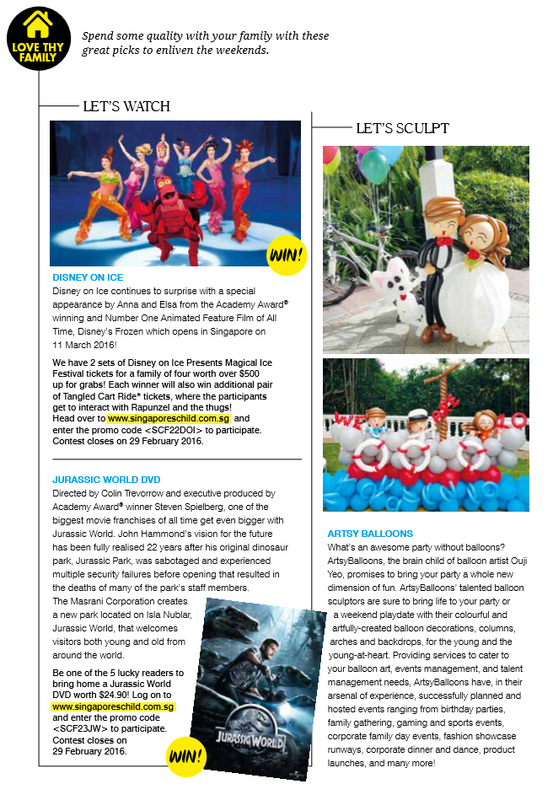 Thank you for featuring me on your magazine and as your sponsors! Thanks for having me! Alright guys! That’s all for today! I shall share more soon! Bye!